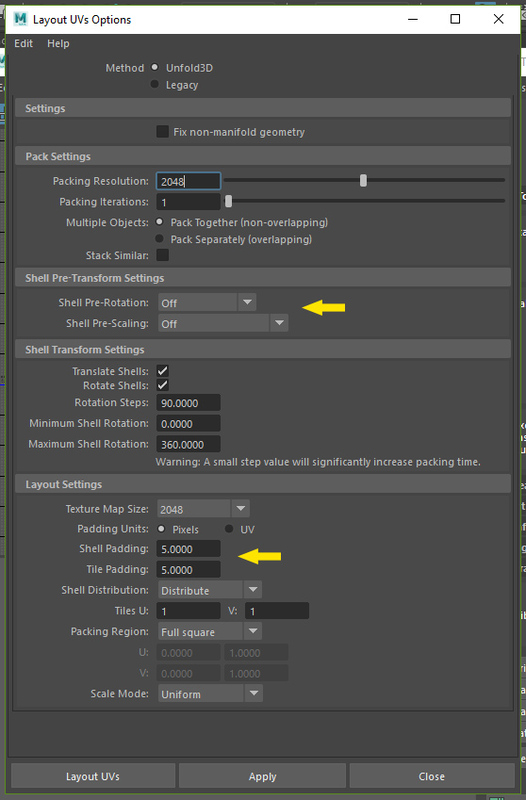 ../ Constant growing section /..
A nice workflow with the new Uv Toolkit in maya is to unfold the pieces and no losing time scaling by hand the shells to keep correct ratios in focus to texture it. One thing I do often before "autopacking" is to separate the less important uv islands (the shoe sole for example) to give more size to the important ones. So I turn off the Shell Pre-Rotation and Pre-Scale, to avoid changes I dont want to.